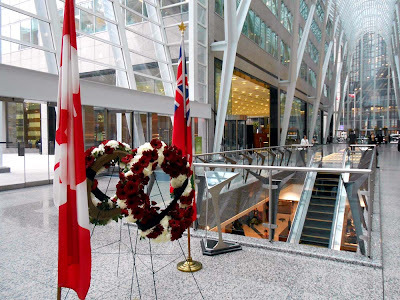 Sunday November 11, 2012 will be a time of Remembrance for those that served Canada during times of war and peace. You can find ceremonies at Old Fort York, Old City Hall and the five Civic Centres: East York, North York, York, Etobicoke and Scarborough. "WHEREAS Canadian women and men have bravely and proudly served in times of war, military conflict and peace to protect the freedoms we enjoy today and it is our duty to preserve their legacy for future generations. This year marks the 94th anniversary of the end of the First World War, a war that changed the scope of history in Canada and countries around the world. 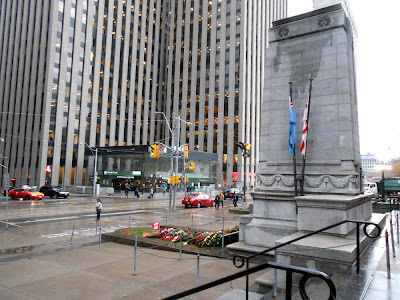 With no known surviving veterans and few remaining individuals from the Great War era to share their stories, it is even more important to honour those who served abroad and at home during this significant time. 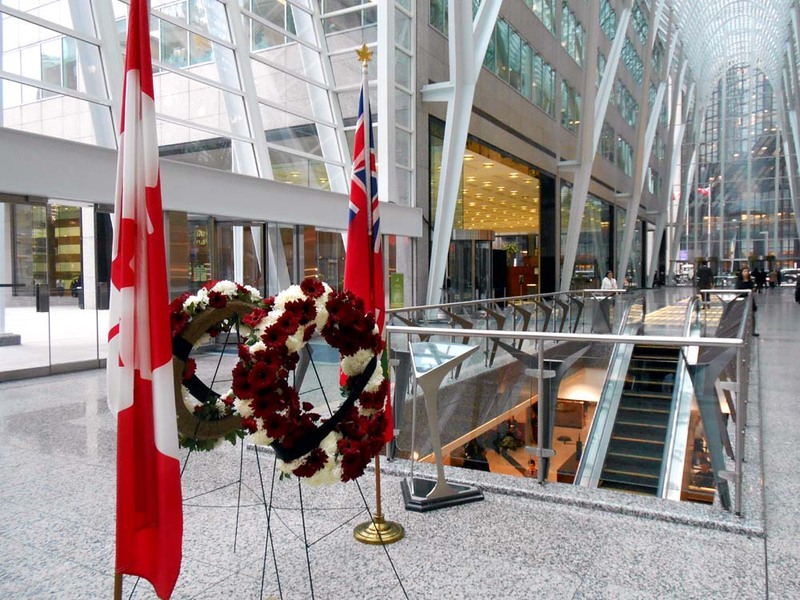 Remembrance Week is an opportunity to pay tribute to those who have fought for our country, remained at home protecting our national security, assisted Canadians in times of disaster and crisis, served on peacekeeping missions overseas, and those who continue to do so even as we enjoy a peaceful week of remembrance, safe in our homes. 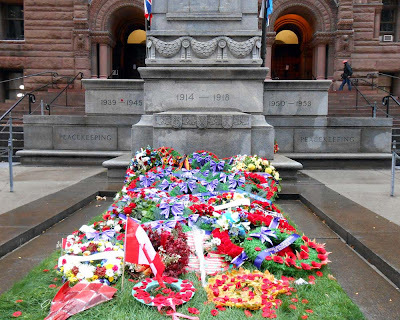 During Remembrance Week, we proudly wear the poppy over our hearts as a symbol of the poppies that grow at the final resting place of too many of our First World War soldiers. 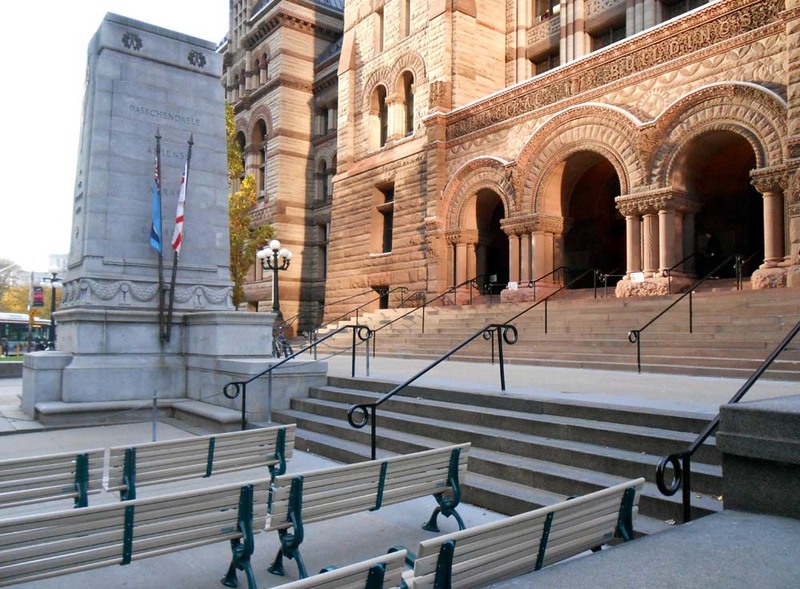 We also pay our respects by attending local memorial ceremonies or by simply talking with our veterans about their many experiences and thanking them for their service. On November 11, people of all ages from across our diverse communities gather at cenotaphs and memorials throughout Toronto to honour and remember the brave men and women who gave their lives in pursuit of our peace and freedom. 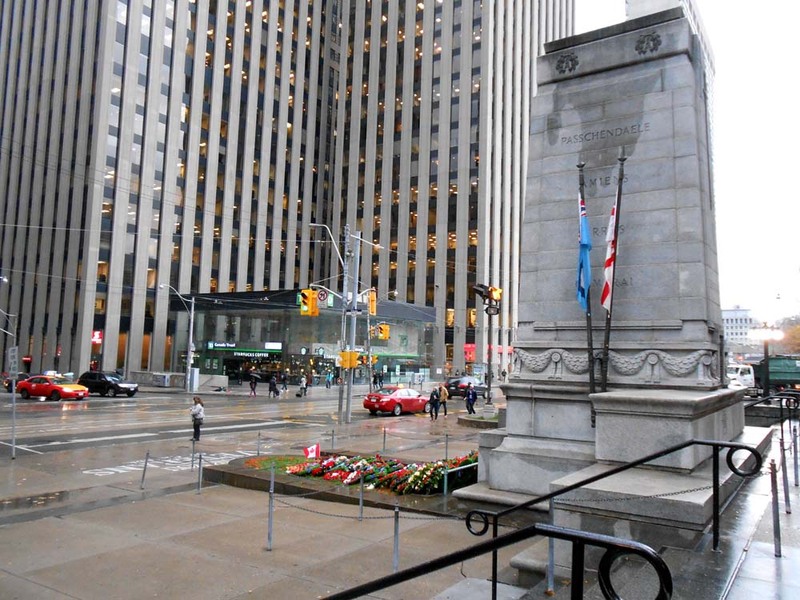 The City of Toronto proudly acknowledges the sacrifices and contributions made by our veterans by holding Remembrance Day services at each of the civic centres across our city and by supporting services held by organizations within our communities. 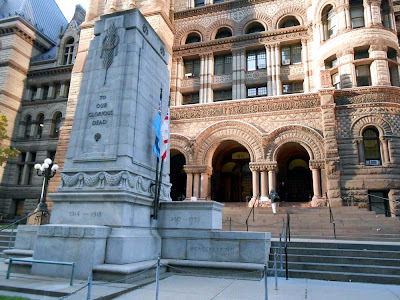 NOW THEREFORE, I, Mayor Rob Ford, on behalf of Toronto City Council, do hereby proclaim November 5 - 11, 2012 as "Remembrance Week" to honour, salute and express our gratitude to our courageous veterans, past and present, for their bravery, heroic actions and for making the ultimate sacrifice for our country.